Despite how advanced we are in modern America, we seem to have difficulty progressing in our diets. We are simply surrounded by too many tasty, yet unhealthy, foods in our day-to-day life. Being aware of which of these common foods to avoid can go a long way to improving our health. Here are seven types of foods you come in contact with regularly but should pass on. Artificial Sweeteners – We’ll start by bursting a “health” bubble. Many go through life feeling good about themselves after drinking a diet ginger ale or opting for an alternative sweetener in their coffee. While these may be marketed as healthier options, they are not. Both aspartame and saccharine, two very common sweeteners, initiate many of the same insulin responses and carb cravings that table sugar does. Fried Foods – You likely knew this, but fried food isn’t exactly health food. Here is a useful little trick. Add the word “fried” to anything and it can move it from healthy to not-so-healthy. Potatoes – healthy. Fried potatoes (french fries) – not really. Squash – healthy. Fried squash – not so healthy. Chicken – healthy. Fried chicken – not good for you. Margarine – In a similar way to artificial sweeteners, the intentions of margarine were good, but didn’t pan out. It was meant to replace butter, but instead is an unnatural medley of chemicals and trans-fats that you should avoid at all costs. Fruit Juice – This one often shocks people. You’re supposed to eat your fruits and vegetables, right? What is fruit juice other than just a giant glass of distilled fruit goodness? Fruit juice does have some good vitamins, but the problem is the amount of sugars. Some fruit juices add sugars, but even the ones that are “100 percent juice” still are just too sweet. You’ll end downing a huge serving of calories while spiking your blood sugar. Processed Meats – You do not need to avoid meat. In fact, meat is high in protein and healthy fats, both of which are very satiating. Processed meats, however, are preserved so they will last longer before spoiling. This is convenient and saves money, but these preservatives, like sodium and nitrates, have health risks, like high blood pressure and even cancer. Refined Wheat – As those who have gluten or wheat allergies will tell you, wheat is everywhere. Just a small sampling of foods containing refined wheat are: pizza, pasta, sandwiches, cereals, bread and beer. Sadly, this ever-present ingredient is not really good for us. It spikes blood sugar, creating an insulin response, which stores fat and may also contribute to type two diabetes. 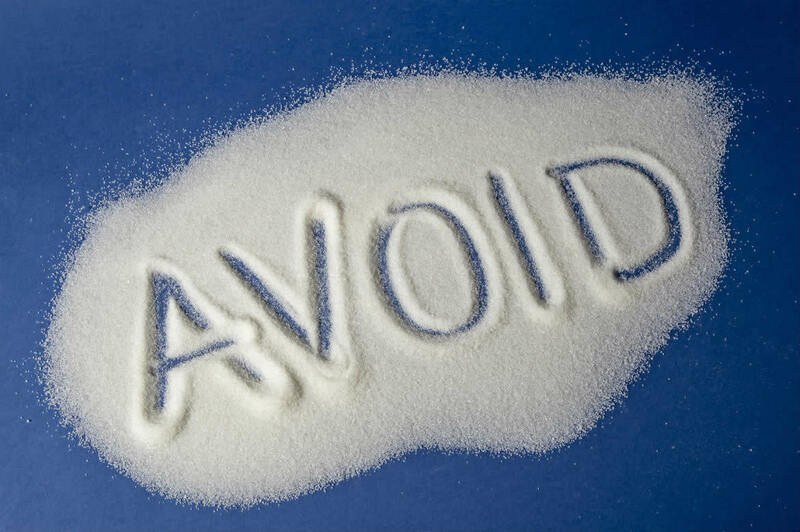 Added Sugars – If you haven’t gotten the message so far, too much sugar is bad. It’s not just drinking sugary drinks or eating sweets, though. There are a lot of foods that unnecessarily add sugar. It improves taste and makes things sell, but is not good for your health. As mentioned, it leads to weight gain, diabetes, and other health problems. Keep an eye out for how much sugar is being added to foods you consume. Maneuvering a diet in the modern world can be tricky. If you live in Raleigh, Durham, Chapel Hill, Cary, or the surrounding areas, West Cary Wellness can be a great resource for you. We have trained, certified dietary experts who can help show you what to avoid and what to eat on your path to a healthier you. Call today to set-up a consultation.